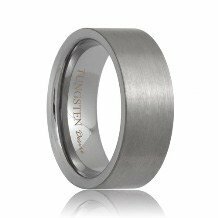 The Virginia Beach tungsten carbide ring is both broad and smooth. 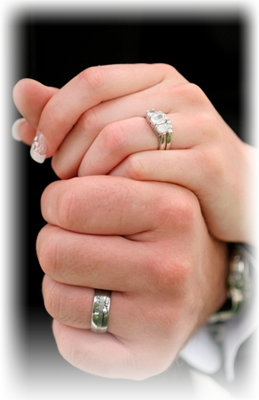 These styles of flat tungsten rings are iconic in simplicity. 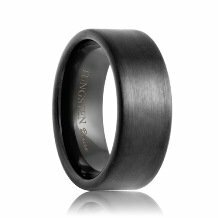 They feature a classic pipe cut look and they are composed of high quality cobalt free tungsten carbide. 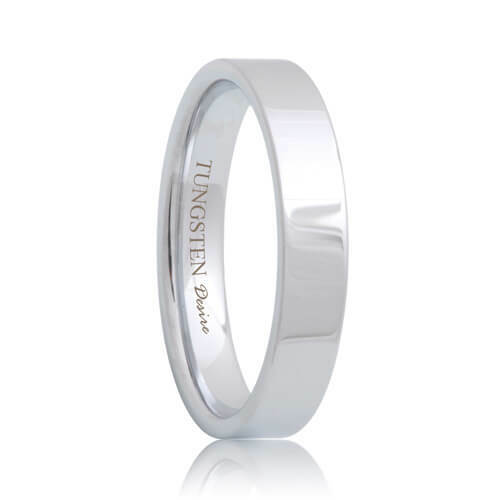 This 4mm thinner and slimmer style may be worn by either men or women and is perfect for any occasion. 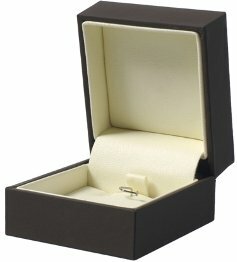 This ring is also available in 6mm and 8mm widths. Most sizes ship within 1 business day. Free Lifetime Warranty and Lifetime Sizing; pay no restocking fees or deductibles! 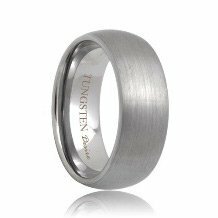 I'm extremely happy with the tungsten wedding band I ordered, my fiance's reaction and the customer service by Tungsten Rings & Co. This company is great and they are providing stunning products at amazing prices and backing them up with an unbelievable no fee lifetime warranty. 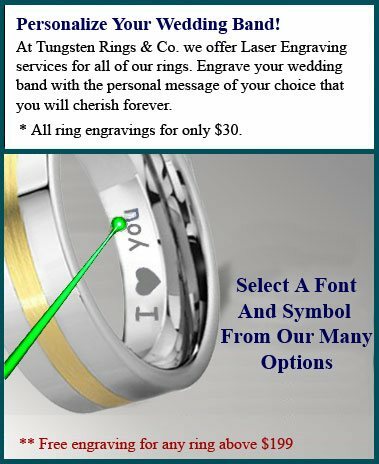 The tungsten ring shopping experience can be a bit frustrating at times but Tungsten Rings & Co. customer service helped me compare the different styles in rings and made it simple to explore without the high pressure salesman. 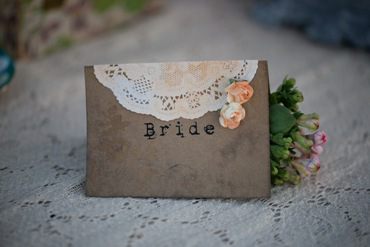 Their customer service was friendly, knowledgeable and professional. A few weeks after we got the ring, my fiance and I realized it was too big. I was worried it was going to be tough to get it resized. It wasn't. The ring was back within a week and on top of it all, it was free. They didn't charge me a dime. 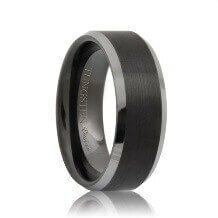 Tungsten Rings & Co. took care of everything. I - Could - Not - Be - Happier!